Eric Akutagawa specializes in representing single and multi-family properties on the entire Westside, ranging from Santa Monica to Silverlake. A consummate professional with a sterling reputation, Eric has amassed more than 14 years of comprehensive real estate experience. His clients include an array of business professionals, first time homebuyers, the family next door, and real estate investors. They value his “one client at a time” approach, which allows for the utmost in personal service. They also appreciate his calm demeanor, his exemplary negotiation and communications skills, as well as his painstaking attention to detail. Furthermore, he is always up-to-date with the latest technologies, giving his clients buyers and sellers the ultimate edge in their real estate search, and simplifying transactions. A Southern California native, Eric graduated from both the University of California Los Angeles and Emperor’s College of Traditional Oriental Medicine. He currently resides in the West Los Angeles area, where his grandparents first took roots in the 1950s. “I met Eric through the sale of my Grandmother’s house in West LA at the end of 2015 in which he set the record sale price for the area. At the time, I didn’t know how close both of our families were in the West LA area. Our grandmothers were good friends and saw each other frequently. “We are writing this letter to recommend Eric Akutgawa of Gibson International Realty to anyone who wants superior effort and capability in the sale of real estate. When we interviewed several prospective realtors, Eric from the start demonstrated knowledge of the area and comparable properties and the best strategies for selling our home at the best price in a timely manner. We have selected him and we have been very happy that we did. Eric’s assistance in getting the property ready for sale — landscaping, cleanup, painting, and staging — was invaluable. Eric spent countless hours working with us and when the home was put on the market, it looked great! In just over a week we had several offers, and ultimately we received more than we were asking (and more than we expected). The escrow and closing were all handled expeditiously and smoothly and just a few weeks after we started we had received a check. “One of the keys to success when buying and selling property in a volatile real estate market is selecting the “right” realtor. For me, Eric Akutagawa is “that” impeccable agent with an expert knowledge and understanding of the Los Angeles area and real estate market. Eric worked tirelessly to find me that special “off market” property that fit my stringent criteria in addition to creatively marketing my current home to sell. I appreciate that he always has his clients’ best interests in mind and wants to ensure that they are making sound investments. He is the consummate professional, always responds promptly and never fails to follow through. As a realtor, he consistently goes above and beyond, even providing advice/recommendations about cosmetic upgrades, local contractors, and places to purchase home appliances at substantial savings. Personally, Eric is very affable and a true joy to work with. His passion for real estate is “contagious” and it is so inspiring to see someone doing what he really loves. He possesses that rare combination of “heart” and “smart” and his integrity is unsurpassed and I wholeheartedly will and have recommended him to friends and colleagues. “It’s a given that getting the right person to help sell your house, especially when the market doesn’t quite look positive, is critical. Choosing Eric Akutagawa as my agent was my good fortune. He explained the sales process and pit-falls clearly for even a novice like myself to understand and know what to expect when. His concern for me was if I were family and my house as if it were his own. 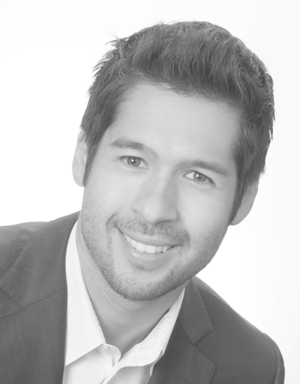 “As our real estate agent, Eric Akutagawa went far above and beyond the call of duty! He patiently worked with us for over a year to locate the house of our dreams. Eric personally drove us to almost every listing that might appeal to us. He always made sure that the properties we viewed not only met our list of criteria, but were sound investment ventures. Very often, Eric would preview the homes for us on his own time! We were never pressured to make hasty decisions, and Eric would always clearly address any reservations we might have. We were very impressed by his comprehensive knowledge of the West Los Angeles, San Fernando Valley, and Burbank areas. Eric always responded to emails or phone calls promptly and could be relied on to frequently provide an analysis of the most current list of properties available. My fiancé and I made offers on six different properties, the last of which was a short sale that finally went through to closing after several months. Eric stuck by us through the entire process and explained everything we needed to know. With Eric’s help, escrow went smoothly and our long search was over! As first time home buyers, we were thrilled to finally own a home! Soon after, however, we were overwhelmed by the number of decisions that needed to be made to renovate the house. Eric came to our rescue and offered contact information for reliable contractors, flooring companies, and painters that he had worked with in the past. He also spent an entire day helping us pick out the perfect kitchen cabinets, sink, and granite countertops. Throughout the entire renovation process, Eric has been following up with us to make sure everything is going well, and has even stopped by the house to check on the progress and answer our questions!